Lonnie G. Bunch III at the Washington Auto Show. "GM and the GM Foundation have a strong legacy of support for the African American Community, and for the Smithsonian Institution's preservation of our nation's history," said Pickard. "Through this grant we continue our commitment by helping to bring to life the story of African Americans who have changed our nation in so many ways." Currently under construction on a five-acre site adjacent to the Washington Monument, the Museum will open in 2015, displaying the richness and diversity of the African American experience and how it has shaped the country. 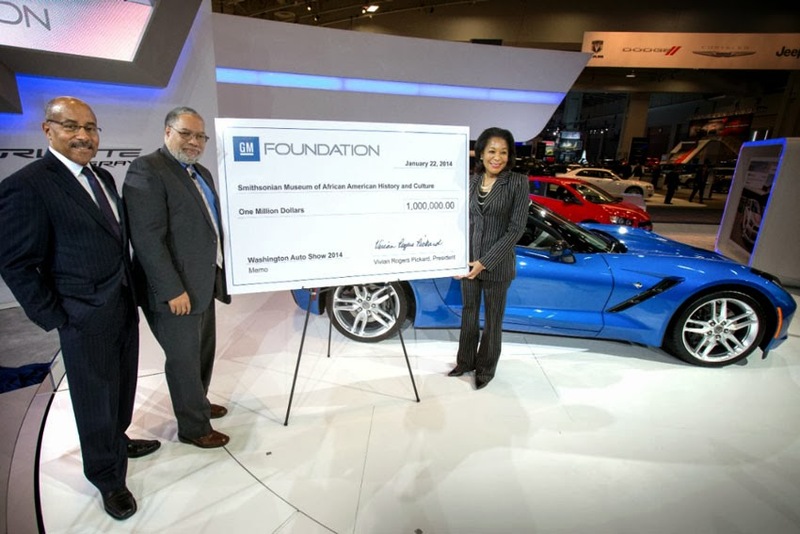 The GM Foundation's donation will support the design and installation of the Museum's permanent exhibitions. "We are honored to have the GM Foundation join the museum's family of founding donors, supporting us as we create a better America, one museum at a time," said Bunch. "GM's gift will help the museum tell a rich, inclusive history of America, one that will now be preserved for generations to come."